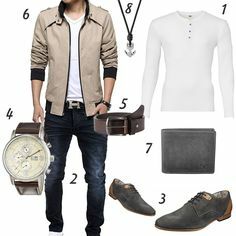 J. R. D. Tata was bornon July 29, 1904 in Paris, France, Indian, is French-Indian aviator. 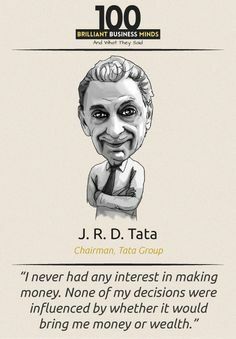 The man who made Tata Group one of the most prestigious and successful industrial groups in India, Jehangir Ratanji Dadabhoy Tata, better known as J.R.D.Tata, was a fearless aviator and a visionary ahead of his times. Born in France to an Indian father and a French mother, Tata had an idyllic childhood. His family was wealthy and had the means to fulfill the curiosities of his young mind. He began his career as an unpaid apprentice in the Indian company Tata & Sons and within years rose to the position of the company’s Chairman. From a young age he had been fascinated by airplanes and took to flying. An avid aviator, he became the first person to obtain the first ever issued pilot license in India. He took his passion for flying to another level by establishing India’s first commercial airline, Tata Airlines which later became Air India. Under his astute leadership and direction the Tata Group expanded into newer horizons and became one of India’s most trusted brands. His never ending endeavors to make the world a better place earned him several prestigious awards. JRD Tata was born as Jehangir on 29 July 1904 into a Parsi family. 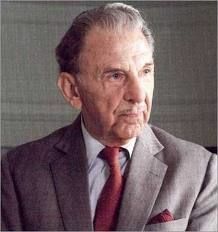 He was the second child of businessman Ratanji Dadabhoy Tata and his French wife, Suzanne "Sooni" Brière. His Father was a first cousin of Jamsetji Tata, a pioneer industrialist in India. He had one elder sister Sylla, a younger sister Rodabeh and two younger brothers Darab and Jimmy Tata. His sister, Sylla, was married to Dinshaw Maneckji Petit, the second baronet of Petits. His niece, Rattanbai Petit, was the wife of Muhammad Ali Jinnah, who later became the founder of Pakistan in August 1947. His grandniece, Dina Jinnah, was married to Neville Wadia, a notable businessman. After his mother&apos;s death, Ratanji Dadabhoy Tata decided to move his family to India and sent J.R.D to England for higher studies in October 1923. He was enrolled in a Grammar school, and was interested in studying Engineering at Cambridge. Just as the Grammar course was ending and he was hoping to enter Cambridge, a law was passed in France to draft into the army, for two years, all French boys at the age of 20. 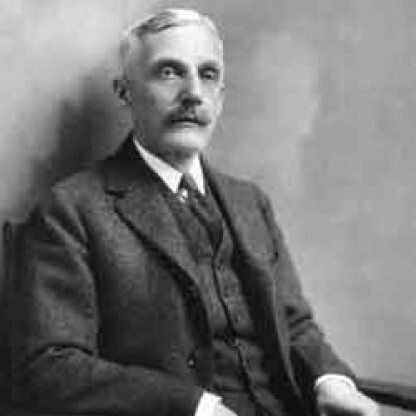 He joined Tata Sons as an unpaid apprentice in 1925. In 1938, at the age of 34, JRD was elected Chairman of Tata Sons making him the head of the largest industrial group in India. He took over as Chairman of Tata Sons from his second cousin Nowroji Saklatwala. For decades, he directed the huge Tata Group of companies, with major interests in steel, engineering, power, chemicals and hospitality. He was famous for succeeding in Business while maintaining high ethical standards – refusing to bribe politicians or use the black market. When J. R. D. Tata was in tour, he was inspired by his friends Father pioneer Louis Blériot the first Man to fly across English channel, and took to flying. On 10 February 1929, Tata obtained the first pilot licence issued in India. He later came to be known as the Father of Indian civil aviation. He founded India&apos;s first commercial airline, Tata Airlines in 1932, which became Air India in 1946, now India&apos;s national airline. He and Nevill Vintcent worked together in building Tata Airlines. They were also good friends. He was the trustee of the Sir Dorabji Tata Trust from its inception in 1932 for over half a century. Under his guidance, this Trust established Asia&apos;s first cancer hospital, the Tata Memorial Centre for Cancer, Research and Treatment, in Bombay in 1941. He also founded the Tata Institute of Social Sciences (TISS, 1936), the Tata Institute of Fundamental Research (TIFR, 1945), and the National Center for Performing Arts. In 1945, he founded Tata Motors. In 1948, JRD Tata launched Air India International as India&apos;s first international airline. 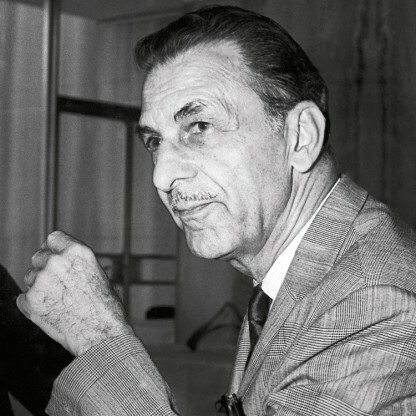 In 1953, the Indian Government appointed JRD Tata as Chairman of Air India and a Director on the Board of Indian Airlines – a position he retained for 25 years. For his crowning achievements in aviation, he was bestowed with the title of Honorary Air Commodore of India. He was also a founding member of the first Governing Body of NCAER, the National Council of Applied Economic Research in New Delhi, India&apos;s first independent economic policy institute established in 1956. In 1968, he founded Tata Consultancy Services as Tata Computer Centre. In 1979, Tata Steel instituted a new practice: a worker being deemed to be "at work" from the moment he leaves home for work till he returns home from work. This made the company financially liable to the worker for any mishap on the way to and from work. In 1987, he founded Titan Industries. Jamshedpur was also selected as a UN Global Compact City because of the quality of life, conditions of sanitation, roads and welfare that were offered by Tata Steel. JRD Tata received a number of awards. He was conferred the honorary rank of group captain by the Indian Air Force in 1948, was promoted to the Air Commodore rank (equivalent to Brigadier in army), and was further promoted on 1 April 1974 to the Air Vice Marshal rank. Several international awards for aviation were given to him – The Tony Jannus Award in March 1979, the Gold Air Medal of the Federation Aeronautique International in 1985, the Edward Warner Award of the International Civil Aviation Organisation, Canada in 1986 and the Daniel Guggenheim Medal in 1988. He received the Padma Vibhushan in 1955. The French Legion of Honour was bestowed on him in 1983. In 1992, because of his selfless humanitarian endeavours, JRD Tata was awarded India&apos;s highest civilian honour, the Bharat Ratna. In the same year, JRD Tata was also bestowed with the United Nations Population Award for his crusading endeavours towards initiating and successfully implementing the family planning movement in India, much before it became an official government policy. In his memory, the Government of Maharashtra named its first double-decker bridge the Bharatratna JRD Tata Overbridge at Kasarwadi Phata, Pune. Tata was also controversially supportive of the declaration of emergency powers by Prime Minister, Indira Gandhi, in 1975. He is quoted to have told a reporter of the New York Times, "things had gone too far. You can’t imagine what we’ve been through here—strikes, boycotts, demonstrations. Why, there were days I couldn’t walk out of my office into the street. The parliamentary system is not suited to our needs." Under his chairmanship, the assets of the Tata Group grew from US$100 million to over US$5 billion. 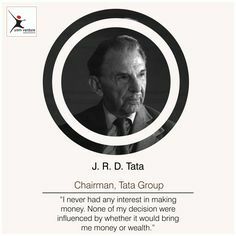 He started with 14 enterprises under his leadership and half a century later on 26 July 1988, when he left, Tata Sons was a conglomerate of 95 enterprises which they either started or in which they had controlling interest. JRD Tata died in Geneva, Switzerland on 29 November 1993 at the age of 89 of a kidney infection. Upon his death, the Indian Parliament was adjourned in his memory – an honour not usually given to persons who are not members of parliament. He was buried at the Père Lachaise Cemetery in Paris.